It's been a couple years, so we're all in for a rare treat tomorrow night. 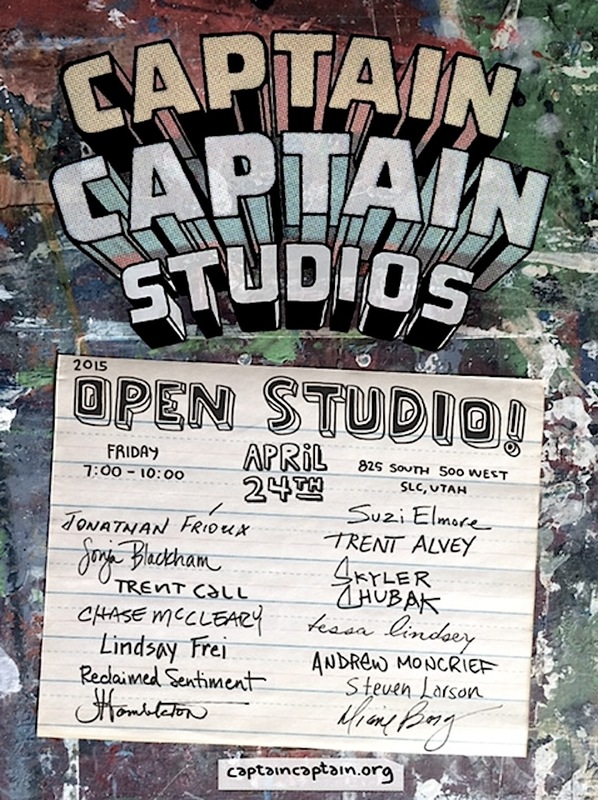 Put on your best art-appreciating ensemb and make your way to Captain Captain Studios for an open house. Some of our top-notch local artists will have works (both completed and in progress) on display for us all to peruse and gawk at. Oh, and by "top-notch" we mean top effing notch: 14 creators of the highest order that include Trent Alvey, Trent Call, Skylar Chubak, and Andrew Moncrief (whose entire studio contents will soon be en route to a show in Ottawa), among others. This is the stuff of fantastic Friday nights, people. See you there.